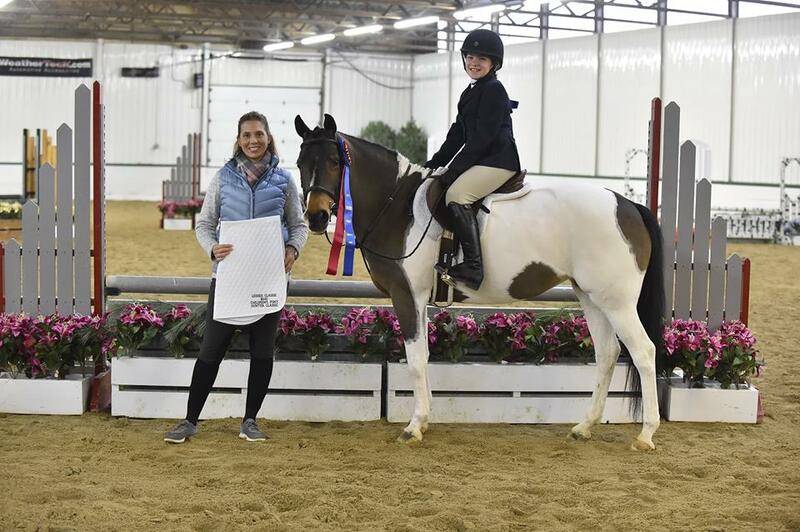 Showplace Productions hosts a great winter circuit at Ledges Sporting Horses with fantastic prizes and friendly competition. Photo Chicago Equestrian. 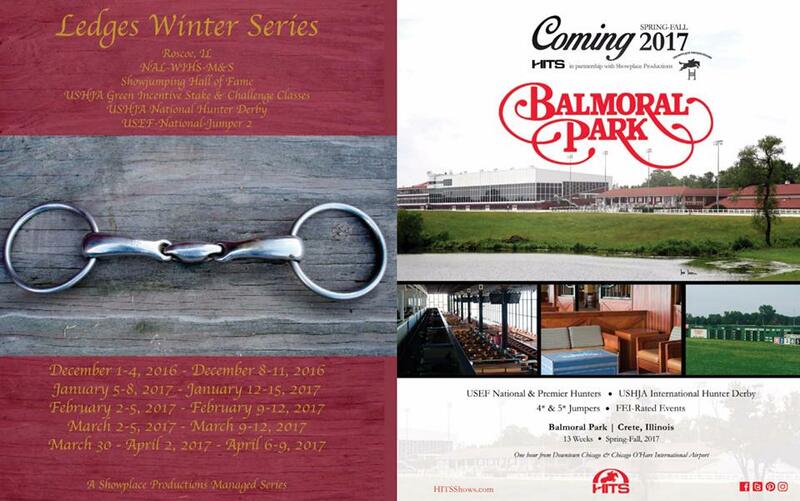 Roscoe, IL – January 6, 2017 – Escape the single digit temperatures hounding the Midwest at this time of year by showing at Showplace Productions' winter circuit at the Historic Ledges Sporting Horses in Roscoe, Illinois. For decades, the popular indoor circuit has been the place to show during the winter in the Midwest. The stabling, schooling area, show ring and spectator areas are all under one roof so once your horses arrive, the temperature is perfect for riding every day and there is no trudging through snow or cold to get to the ring. "It's great to come to work and show when its below zero but everyone inside is in polo shirts," added Boyle about the completely heated facility. Both Ledges and the award winning Showplace Productions team with Patrick Boyle at the helm, have been together for decades to run the shows like clock work. Boyle’s experience leads to a fine tuned schedule, allowing junior riders to show on the weekends without missing school and adults can participate easily without time off from work. Quick access from the newly renovated I-90, complete with now five lanes and great lighting, makes the location easy and safe to get to with numerous hotels and favorite dining places nearby for exhibitors to enjoy. Many exhibitors love that they can stay at home and save on hotel costs along with the main highway that stays plowed during the snowy season. 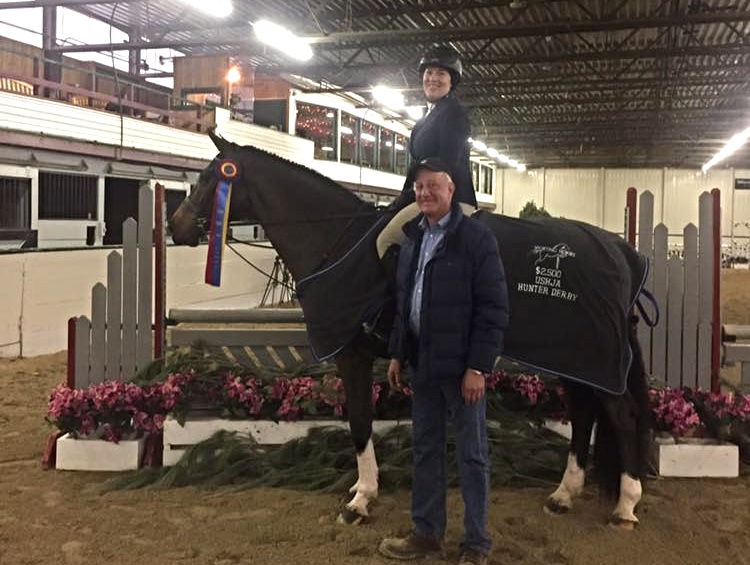 Britta Stoeckle and Homestead won the $1,000 Junior/Amateur Owner Hunter Classic in December. Photo Andrew Ryback Photography. Junior riders love being able to show 2-3 times a month, providing great show mileage and opportunities to rack up junior hunter and equitation points. Low entry and stall fees allow riders to show more often and gain valuable ring time to their training schedules. Amanda Pennington and Stay Cool Relax won the $1,500 WIHS Child/Adult Jumper Classic and the $1,500 Marshall & Sterling Child/Adult Jumper Classic at the December Ledges Show. Photo by Andrew Ryback Photography. Exhibitors and spectators enjoy great hospitality featuring Saturday evening light dinner courtesy of Showplace and other special feature events. The ring has great visibility from two different upper decks and many opportunities to socialize during the show day. Friendly and experienced office staff makes entering easy and on-site food services make spending the day at Ledges uncomplicated and affordable. 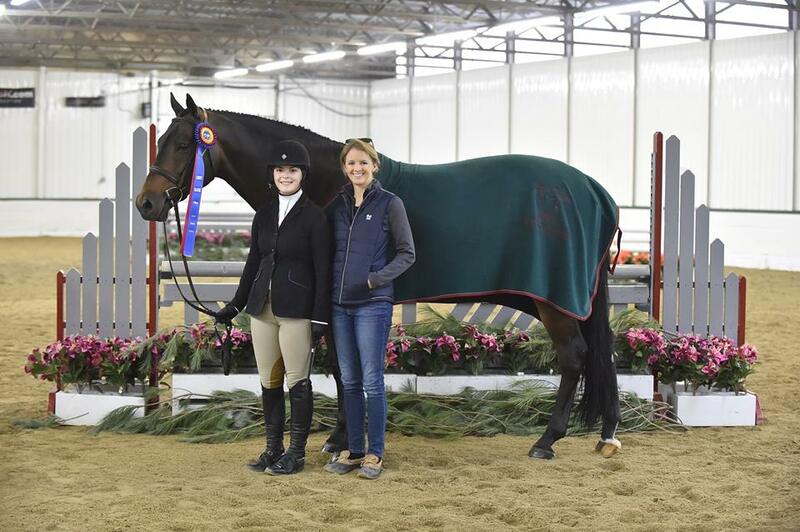 Kathleen Caya and Calvin won the $2,500 USHJA National Hunter Derby. 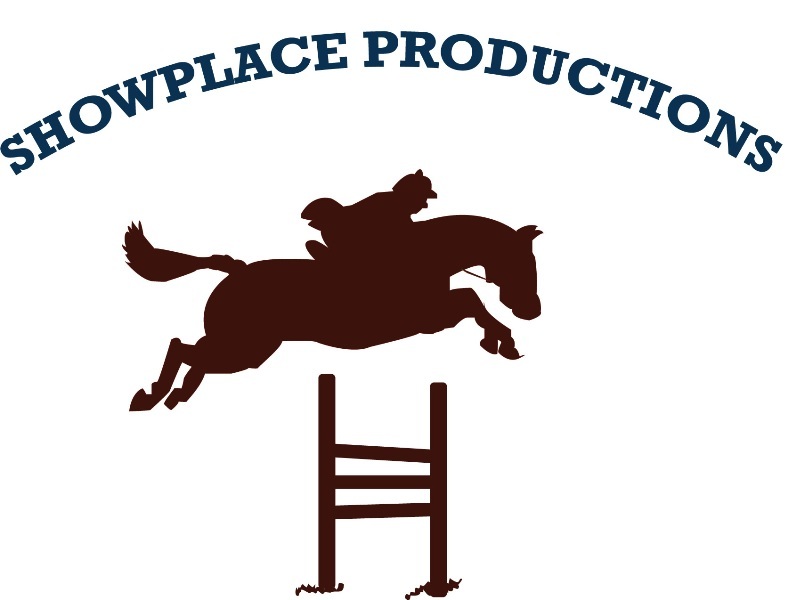 Showplace Productions offers two USEF regular member shows a month from December through April, recognized by USEF, USHJA, the Illinois Hunter Jumper Association (IHJA), Wisconsin Hunter Jumper Association and Indiana Hunter Jumper Association. They also offer one IHJA B rated horse show a month for the entire show season beginning in January. The USEF shows include full division classes including NAL, WIHS and M&S classics and equitation and USHJA Green Incentive Stake & Challenge Classes during each show plus a USHJA National Hunter Derby once a month. 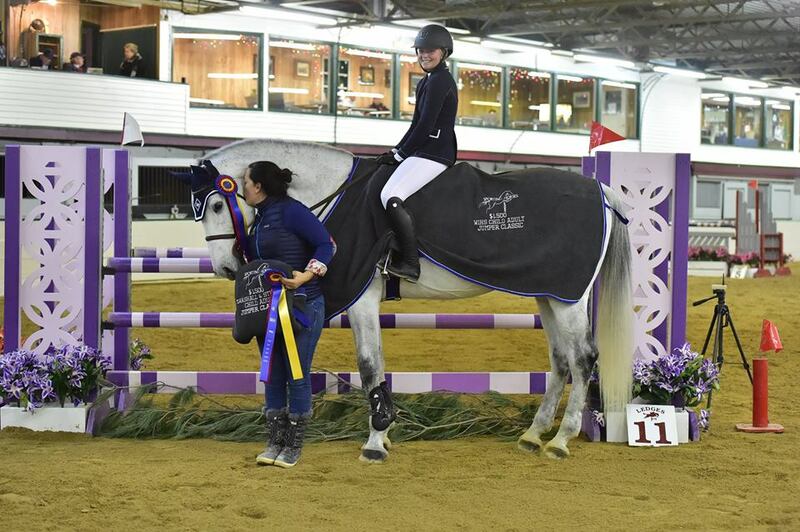 Jumper classes include the Show Jumping Hall of Fame, Young Jumpers and plenty of classics for all divisions from Low Children’s to Amateur Owner Jumpers. 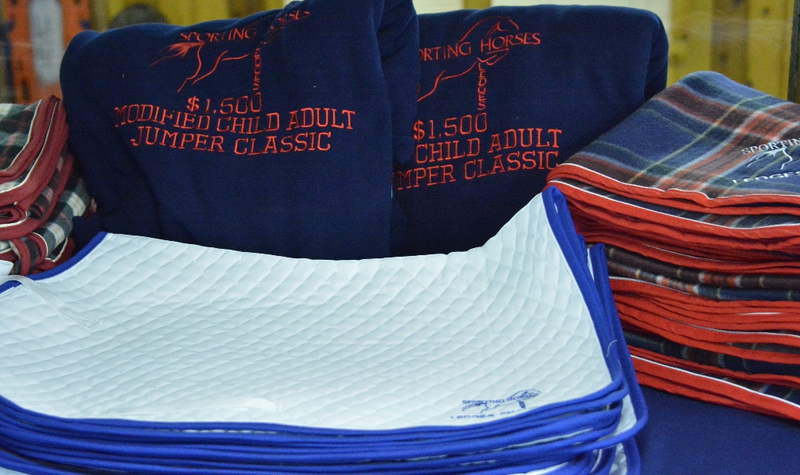 The B shows include USHJA Outreach Classes and Medals along with a Chicago Equestrian 2’6” Hunter Derby monthly. 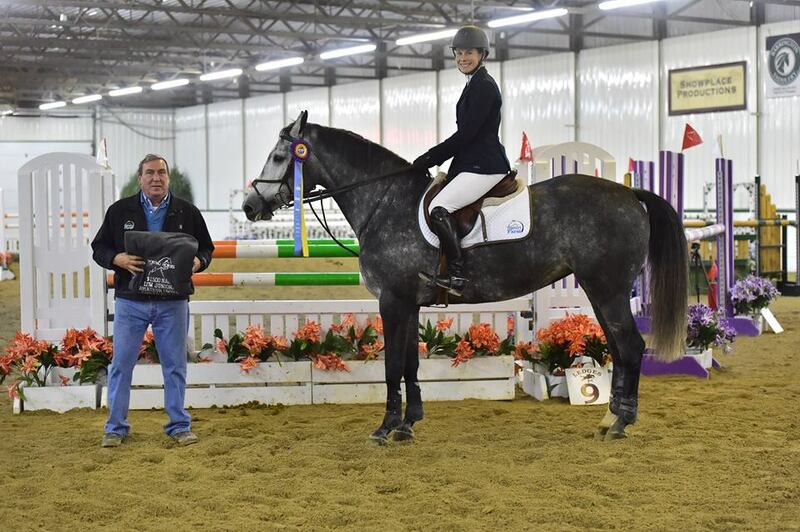 Molly Struve and Aurora with trainer Scott Gentry won the $1,500 NAL Low Junior/Amateur Jumper Classic at the December Ledges. Photo Andrew Ryback Photography.